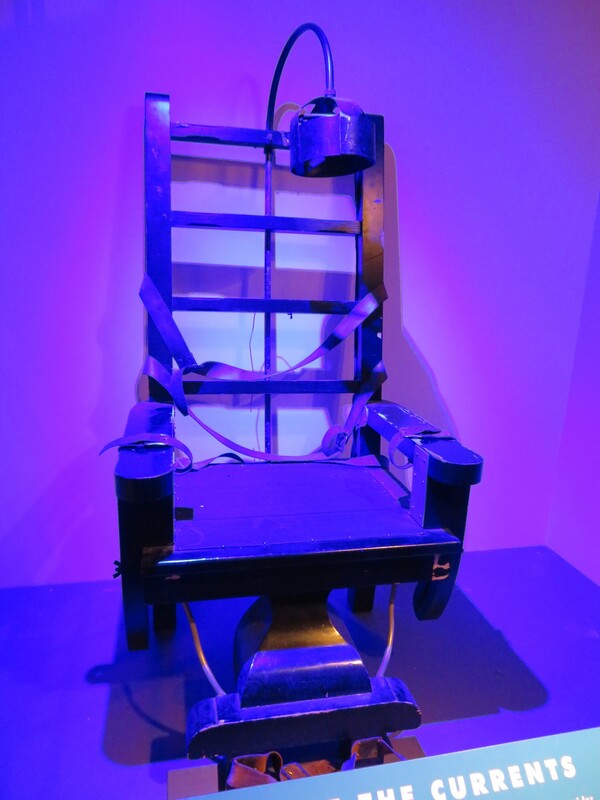 Our 2018 Road Trip, Part 51: The Museum of Museum Outtakes « Midlife Crisis Crossover! 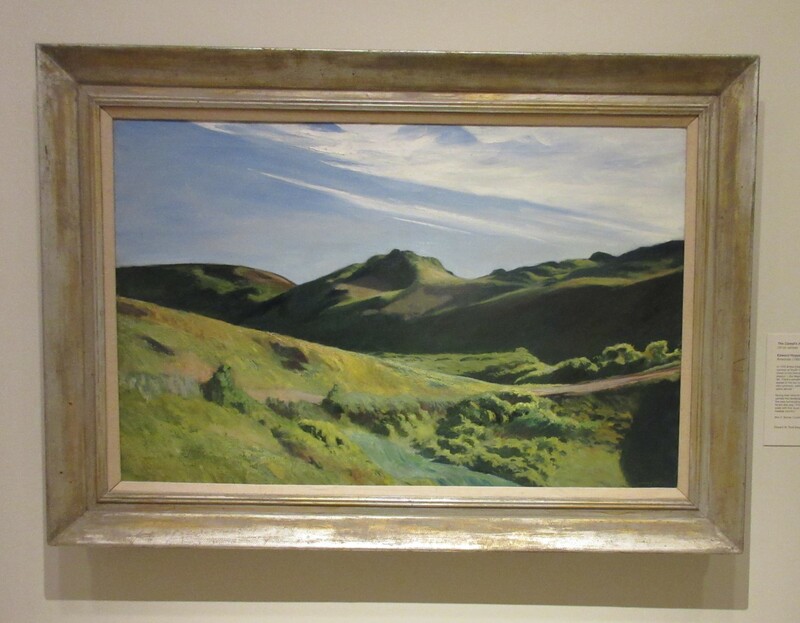 First up: a bonus round of paintings from Utica’s Munson Williams Proctor Arts Institute, whose chapter was the most-Liked among our WordPress readers. 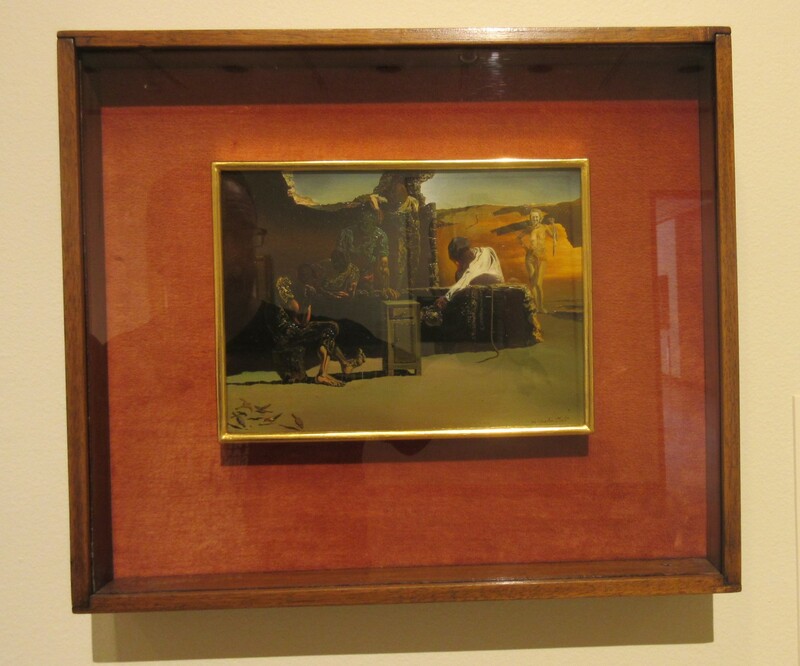 Edward Hopper, “The Camel’s Hump”, 1921. Salvador Dali, “Cardinal, Cardinal!”, 1934. 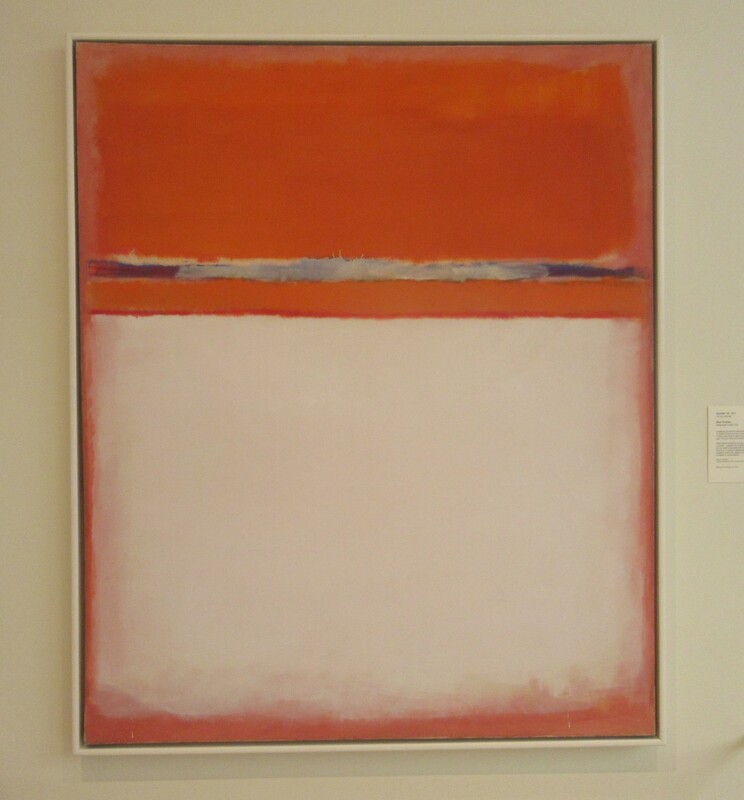 Mark Rothko, “Number 18”, 1951. Mike Watt, “Fire Hose”, 1986. 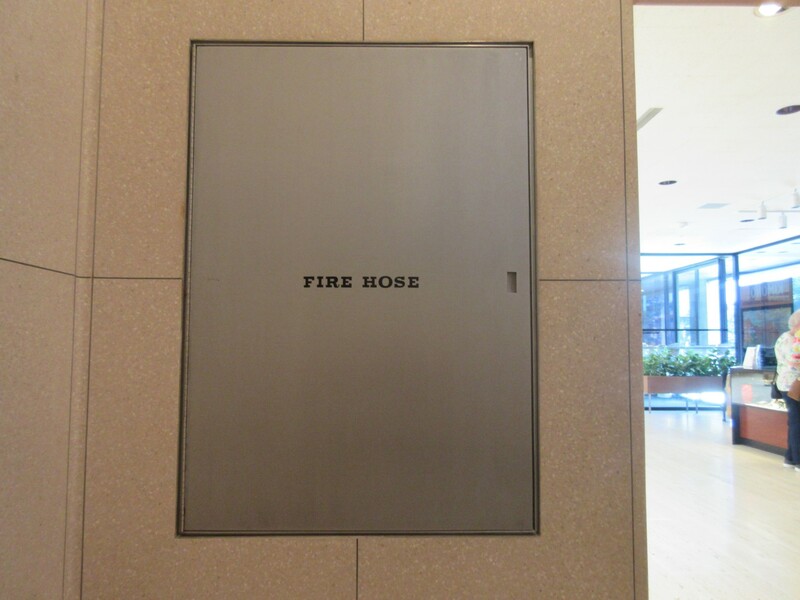 Wait, no, this was an actual fire hose. 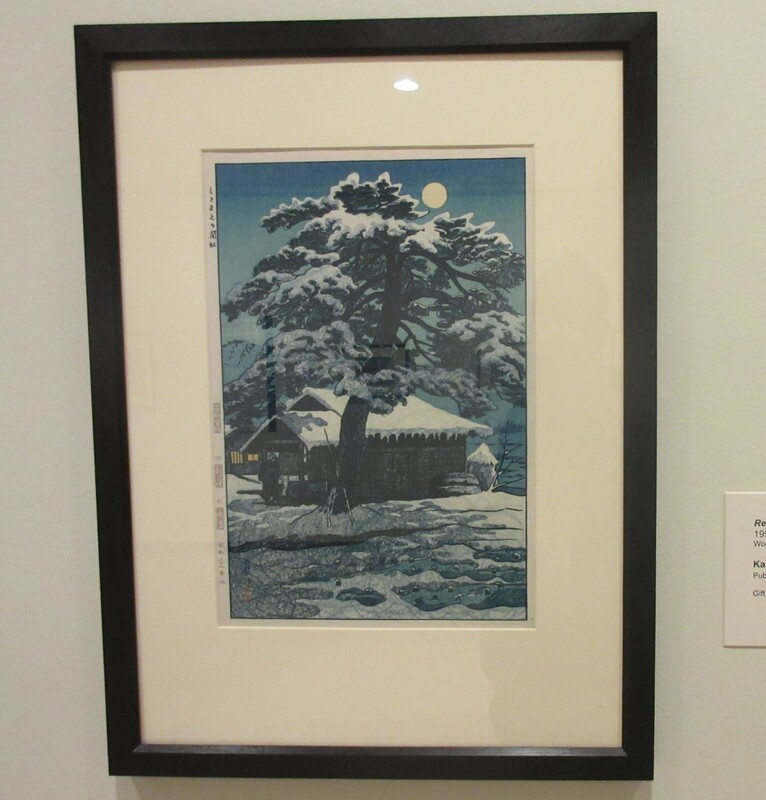 Kasamatsu Shiro, “Remains at the Checkpoint at Shitomae”, 1956. A “Tilt-Top Table” designed for Tiffany’s by Frank Shaw circa 1885-1893. 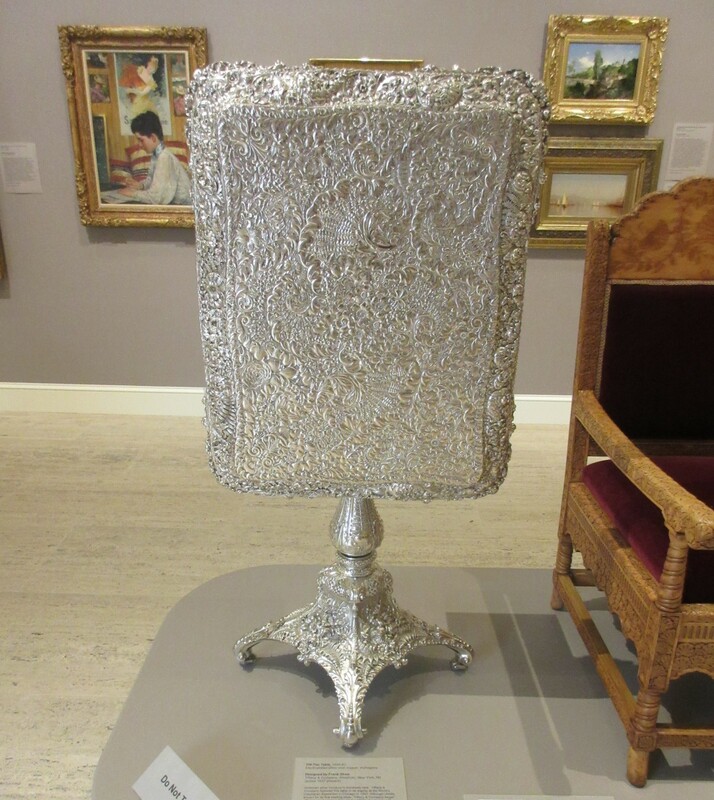 Electroplated silver over copper and mahogany, this furnishing was displayed at the 1893 World’s Columbian Exposition in Chicago. 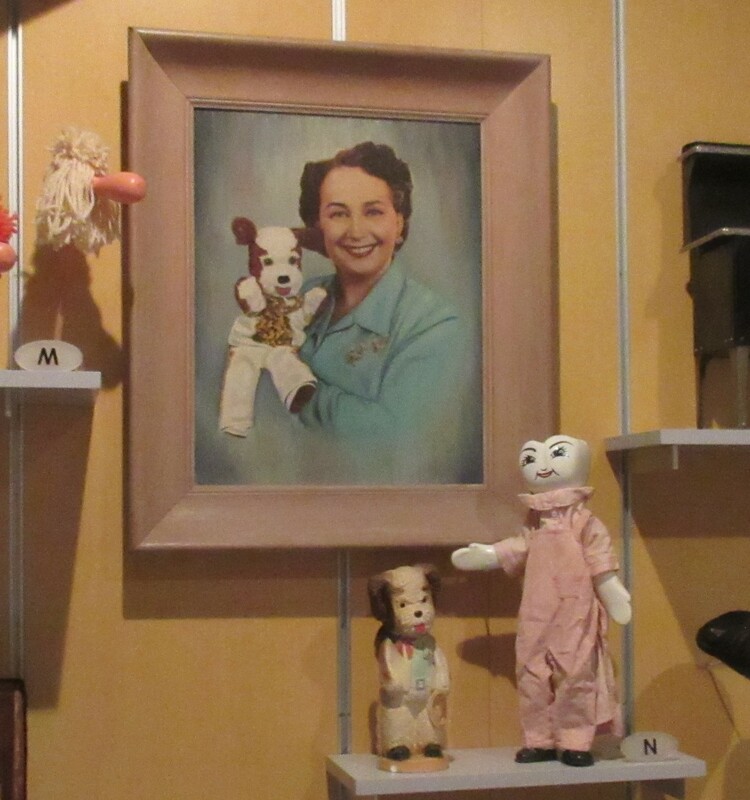 Near the end of our trip was the Heinz History Museum, featuring a wealth of artifacts from throughout Pittsburgh history. 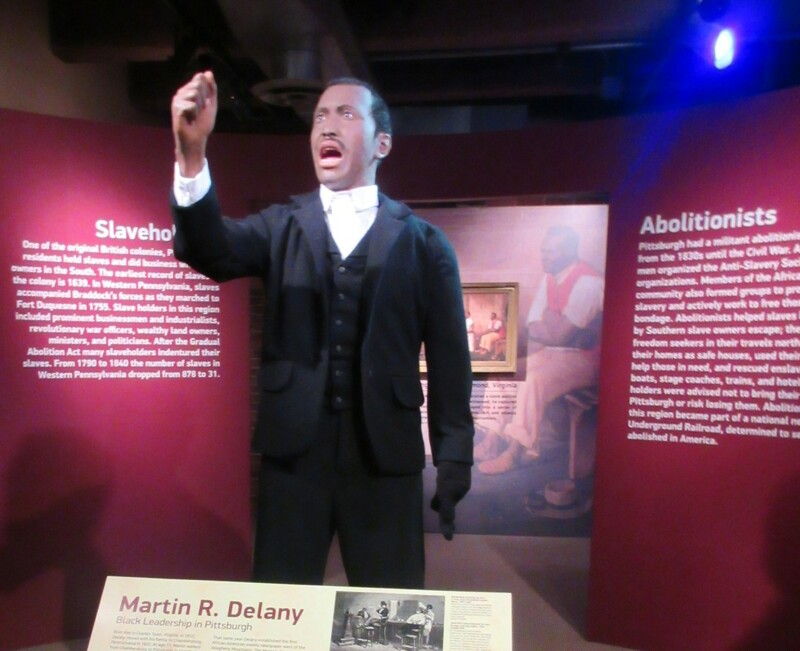 Near the civil rights section stood abolitionist Martin R. Delany. 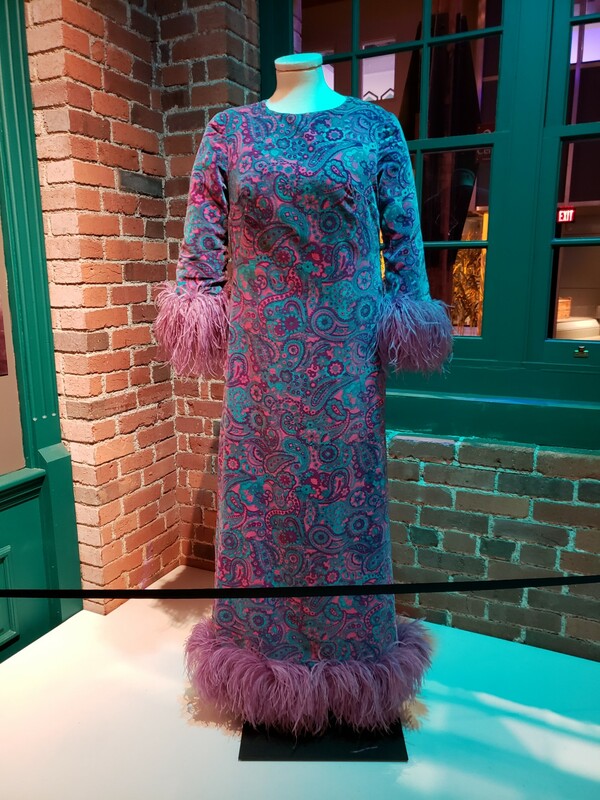 A pretty paisley dress for which I failed to take any notes. Happy the dog and Tommy Molar, costars of Happy’s Party, which taught local kids about dental hygiene. 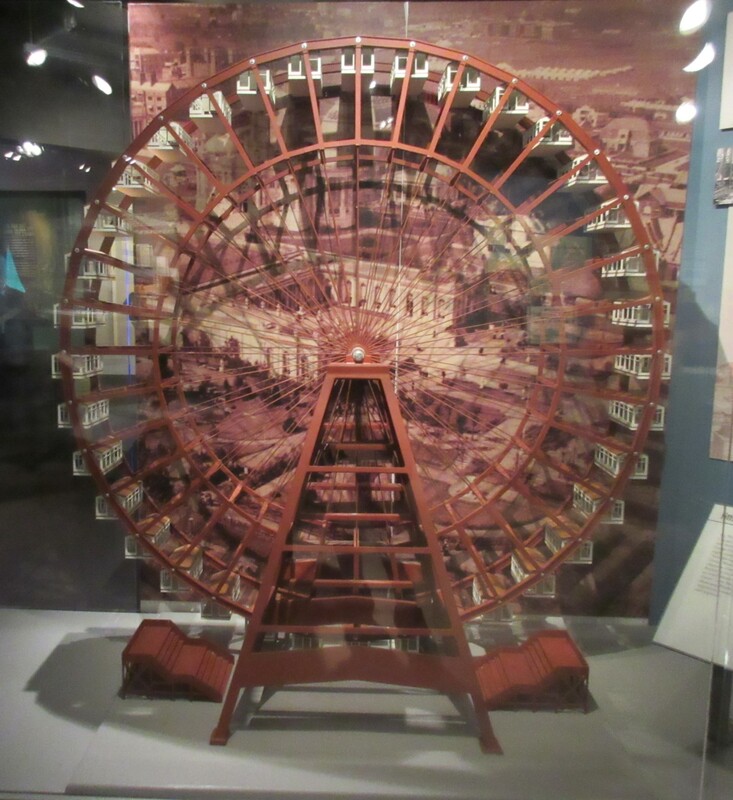 A 2008 model (designed by students at the Art Institute of Pittsburgh) of the Ferris wheel at the aforementioned 1893 World’s Columbian Exposition. 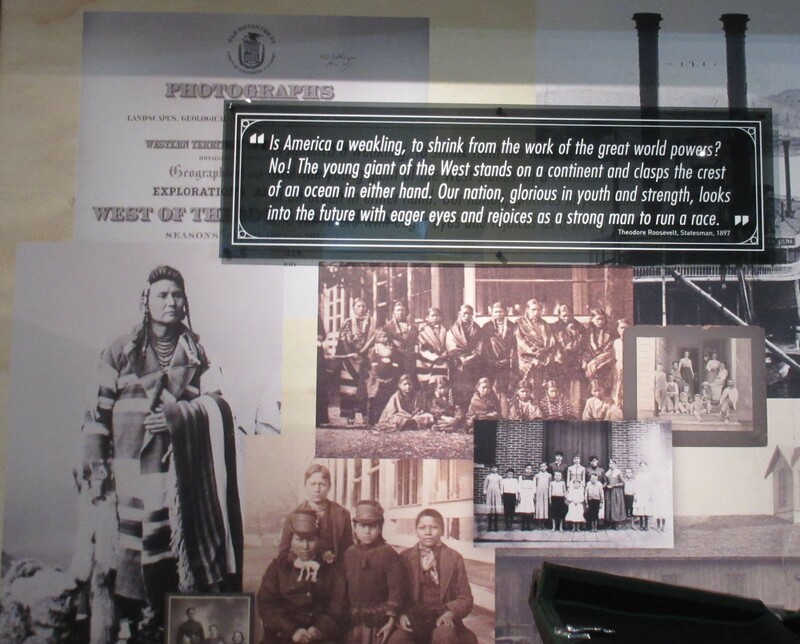 Days earlier we’d kicked off our week with a visit to the Rutherford B. Hayes Presidential Library and Museums at Spiegel Grove, or the ol’ RBHPLMSP for short. 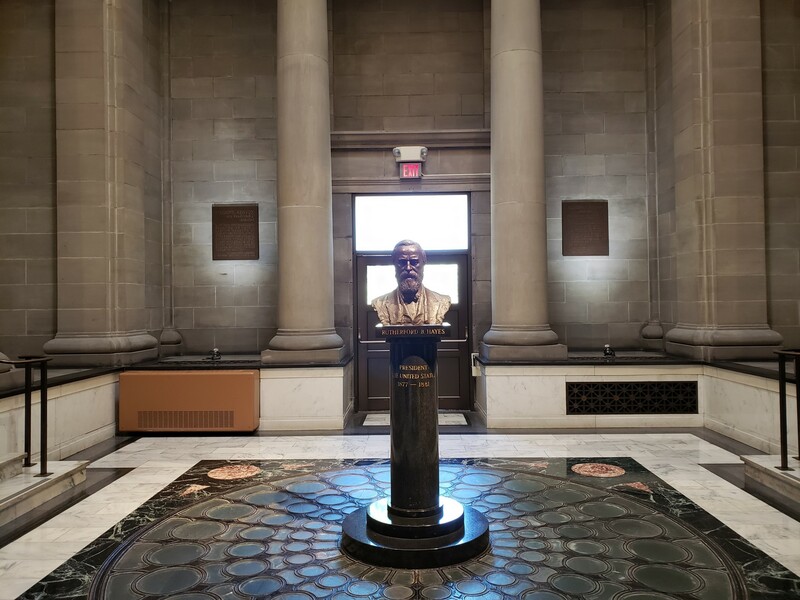 A wider shot of the rotunda where Hayes’ bust stands. 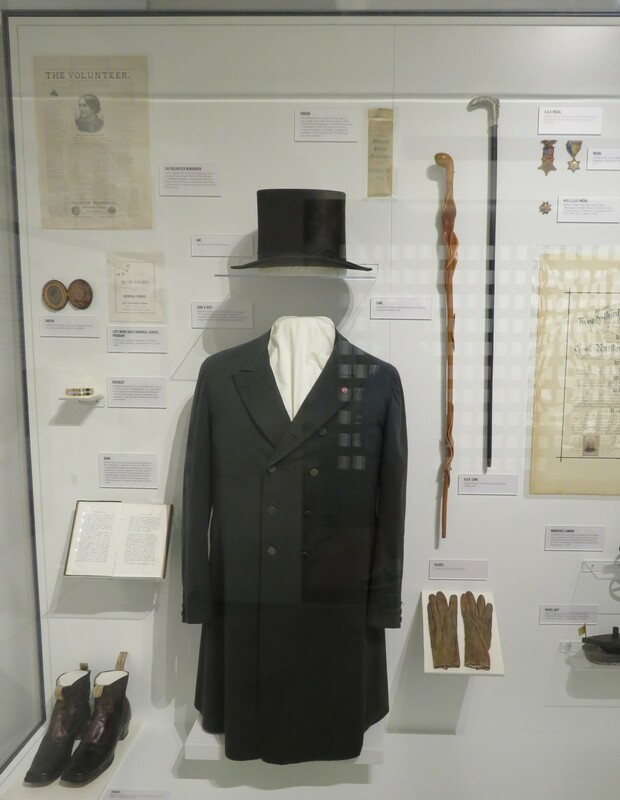 Gear and accessories that once belonged to Hayes himself. Inspirational quote of sorts from Teddy “Bear Puncher” Roosevelt. 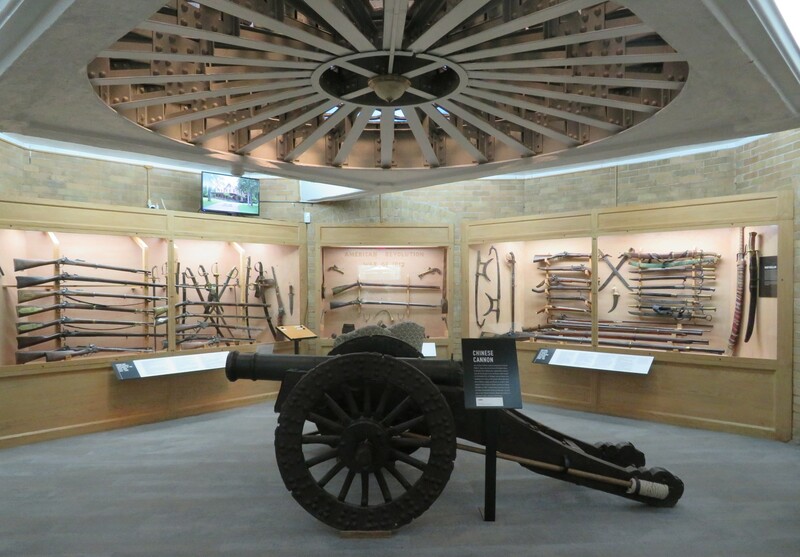 On the lower level was the largest museum arsenal I’ve ever seen outside Chicago, including a Chinese cannon front-and-center. 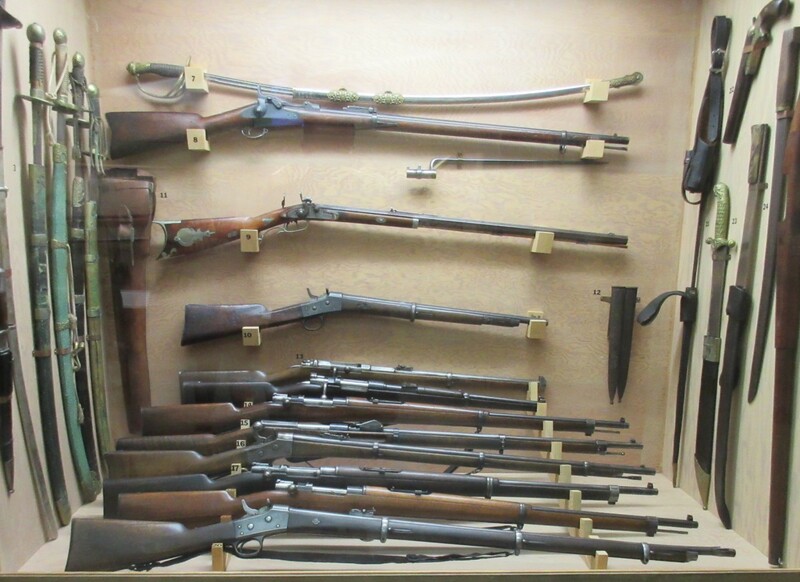 The weapons in this display belonged to his son Webb Hayes, co-founder of Union Carbide. For extra credit, a pair of one-offs from other locales steeped in history and government. 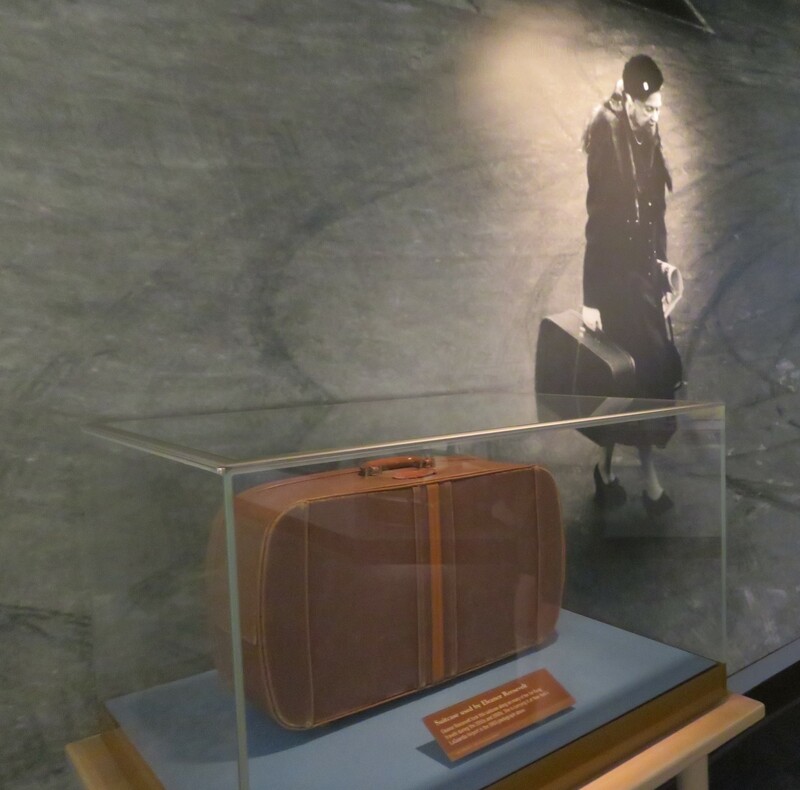 Eleanor Roosevelt’s suitcase, courtesy of Hyde Park. 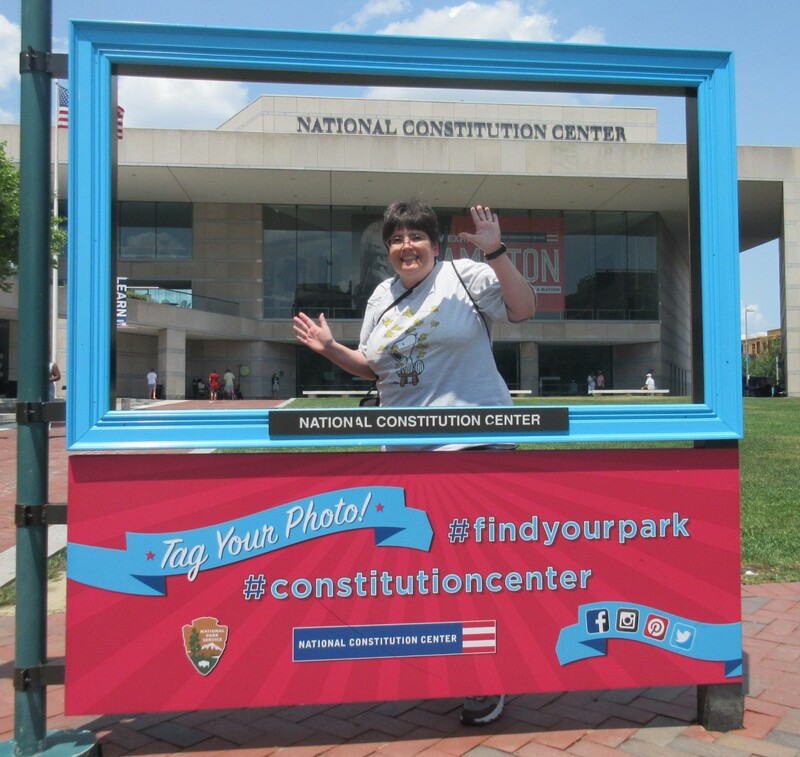 A selfie station in front of the National Constitution Center in Philadelphia encourages passersby to exercise their right to plug them on social media.